LOS ANGELES – (January 29, 2019) – Stand Up To Cancer awarded the 2019 Laura Ziskin Prize in Translational Research to two highly respected clinical investigators who will join in a bi-coastal collaboration to use radiation and immunotherapy pre-operatively to help the body create its own vaccine to fight breast cancer. A clinical trial is currently in development. The Prize was awarded at the 2019 SU2C Scientific Summit in Santa Monica. Award winners Drs. Silvia Formenti of Weill Cornell Medicine Sandra and Edward Meyer Cancer Center in New York City and Heather McArthur of Cedars Sinai in Los Angeles will share a $250,000 grant for their year-long project. They will be working with a team of immunologists, bioinformatics specialists and biostatisticians. “These two doctors, with their complementary backgrounds, have serious potential to develop treatment protocols that could provide better outcomes for breast cancer patients and perhaps reduce mortality,” said the selection committee chair John Glaspy, MD, MPH, professor of medicine at the Jonsson Comprehensive Cancer Center (JCCC) of the University of California, Los Angeles (UCLA) School of Medicine. Selection Committee members included: Stephen Baylin, PhD, Johns Hopkins School of Medicine; Lewis Cantley, PhD, Sandra and Edward Meyer Cancer Center at Weill Cornell Medical College/Ronald P. Stanton Clinical Cancer Program at New York-Presbyterian; Gordon Mills, MD, PhD; OHSU Knight Cancer Institute; Carlos Arteaga, MD, Harold C. Simmons Comprehensive Cancer Center at UT Southwestern Medical Center; Ingrid Mayer, MD, MSCI, Vanderbilt University; Nancy Davidson, MD, Fred Hutchinson Cancer Research Center; and Matthew Ellis, MB, BChir, BSc, PhD, FRCP, Baylor College of Medicine. Dr. Formenti is a recognized leader in breast cancer research and an international expert in the use of radiation therapy for cancer treatment. Her work in radiation biology demonstrates the efficacy of combining radiation therapy with immunotherapy to control cancer cell growth in solid tumors. It aims to have patients create a personalized immunotherapy by recruiting their immune system to reject an individual tumor. Dr. Formenti has translated preclinical work to clinical trials in metastatic breast cancer, lung cancer and melanoma. Her work has opened a new field of application for radiotherapy, whereby localized radiation can be used as an adjuvant to immunotherapy of solid tumors and lymphomas. Dr. McArthur researches novel immuno-oncology strategies for treating breast cancer, with a specific interest in multidisciplinary approaches. She is currently evaluating the impact of tumor destruction with freezing (cryoablation) or radiation in combination with immune stimulation for the treatment of women with early-stage breast cancer. By augmenting one’s immune response to the unique biologic features of one’s tumor, it is hoped that an affected individual may develop long-term immunity against their tumor. Awarded annually, the Ziskin Prize is named for legendary Hollywood producer and Stand Up To Cancer Co-Founder Laura Ziskin, who lived with breast cancer for seven years before it took her life in 2011. The prize, inaugurated in 2012, was created with $1.1 million designated for this purpose in Ziskin’s will. Under the direction of our Scientific Advisory Committee, led by Nobel laureate Phillip A. Sharp, PhD, SU2C staff operate rigorous competitive review processes to identify the best research proposals to recommend for funding, oversee grants administration, and ensure collaboration across research programs. 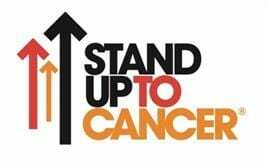 Current members of the SU2C Council of Founders and Advisors (CFA) include Katie Couric, Sherry Lansing, Kathleen Lobb, Lisa Paulsen, Rusty Robertson, Sue Schwartz, Pamela Oas Williams, and Ellen Ziffren. The late Laura Ziskin and the late Noreen Fraser are also co-founders. Sung Poblete, PhD, RN, serves as SU2C’s president and CEO.